Javier Colina replaces Shawn Roof who was promoted to Arizona's Advanced-A affiliate, Visalia. 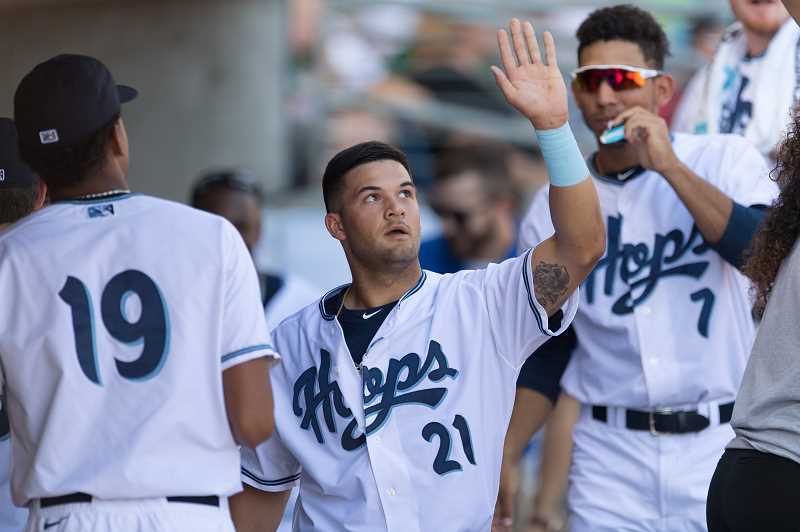 This Hillsboro Hops have announced that Javier Colina will be their manager for the upcoming 2019 season. Colina will replace Shawn Roof who managed the Hops for each of the last two seasons and has been promoted to the Arizona Diamondbacks' Advanced-A affiliate, the Visalia Rawhide, where he'll be assuming managerial duties from another former Hillsboro Hops manager, Shelly Duncan, who will be the field coordinator for Major League Baseball's Toronto Blue Jays in 2019. Joining Colina on the Hops' staff will be hitting instructor Franklin Stubbs, pitching coach Barry Enright, and coach Hatuey Mendoza. In addition, Hillsboro native Ben Petrick will return for his seventh season as a special consultant to the club. "When we found out Javier was going to be our manager this year, we couldn't have been happier," Hops President and General Manager K.L. Wombacher said in a press release. "He knows what it takes to win, having been here the last time we won the league title, when he was Dansby Swanson's first hitting instructor in the minor leagues. It's an excellent choice by the Diamondbacks." Colina will be entering his sixth season with the Diamondbacks organization and his second as manager, having led the rookie level Arizona League D-backs in 2017. Last season he served as a coach for Arizona's Double-A affiliate in Jackson, Tennessee, and also has managerial experience in the Nicaraguan Winter League. Colina played 15 years of professional baseball (1998-2012), spending time in the Rockies, Cardinals, Reds and White Sox organizations, and topping out with parts of four seasons in Triple-A. Stubbs is making a return to Hillsboro as hitting instructor, having served in the same role with the Hops in 2017. Last season, he was the hitting coach with Visalia. Enright, a former pitcher for the Diamondbacks, enters his first season as pitching coach following a 12-year professional playing career, ending in 2018. His playing career included major league stops with both the Diamondbacks and Angels. Mendoza enters his 12th season with the Diamondbacks organization and his second as coach. He spent 10 seasons in front office positions and last season coached for the rookie level D-backs. Mendoza pitched professionally for five seasons, with stints with the Diamonbacks, Angels' and Reds' organizations, reaching as high as Double-A. "This is a great staff," said Wombacher. "If we make the postseason in 2019, we'll set a new Northwest League record with six consecutive playoff appearances. Our staff has the experience and leadership to get that done." The Hops open the 2019 season on Friday, June 14 in Eugene, and host Vancouver in their home opener, June 21, at Ron Tonkin Field in Hillsboro.